1. 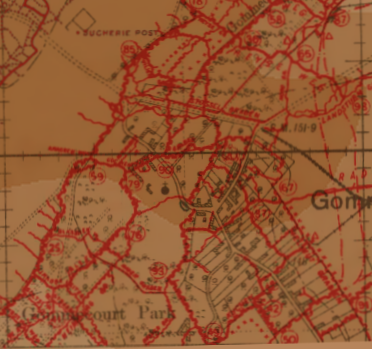 Trench map data superimposed over a modern map, detail Gommecourt. 2. 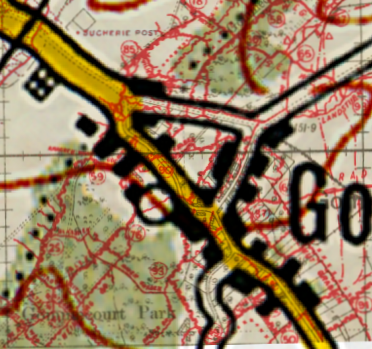 Trench map data superimposed over colored contour data, detail Gommecourt. 3. Trench map data superimposed over colored contour data and elevation data, Gommecourt area. 3. Overall Somme area map. Highlighted area shows region covered by example map 3. Please note that no further publication or commercial use may be made of the materials on this Website without the express written permission of the owner. To e-mail the owner click here.